Apple will highlight its (PRODUCT) RED iPod nano and iPad Smart Cover in its retail stores today, on World AIDS Day, to raise awareness for the fight against AIDS in Africa, according to a report by ifoAppleStore. 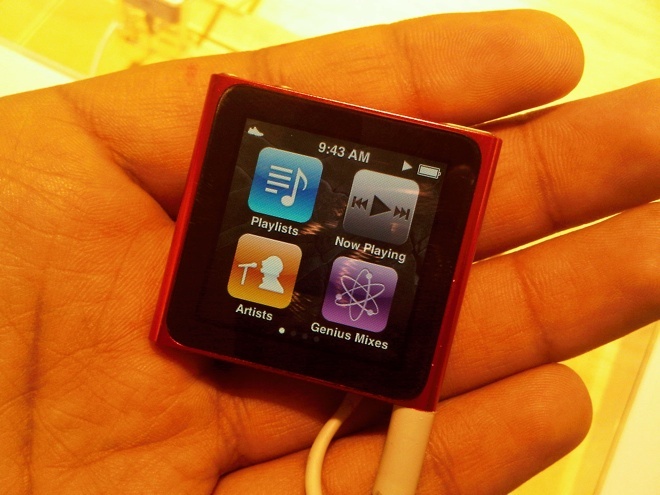 Apple first created the (PRODUCT) RED iPod nano in 2006 to support the charity movement founded by U2’s lead singer Bono, who praised the former Apple CEO Steve Jobs for his “serious and significant” contributions to the project. Sales of (PRODUCT) RED items from various companies like Apple, Converse, Dr. Dre and Nike have generated over $180 million for the charity so far. On Thursday, some specialists in Apple Stores will sport the (RED) iPod nanos, which retail at the same price as other nanos, on their clothes. Store managers will be seen with (RED) Smart Covers on their iPads and the stores will feature banners promoting the Beats by Dr. Dre Solo HD (RED) headphones. Apple has taken a lot of flack for its lack of public philanthropy over the course of Jobs’s tenure at the company, and his successor Tim Cook was quick to initiate an employee matching program for charitable donations upon his instatement as CEO. The company announced last month that it had already matched $1.3 million in such donations in the two months since the start of the program.